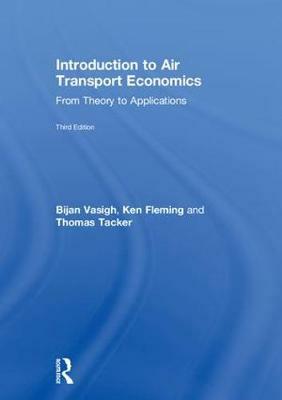 Introduction to Air Transport Economics: From Theory to Applications uniquely merges the institutional and technical aspects of the aviation industry with their theoretical economic underpinnings. Its integrative approach offers a fresh point of view that will find favor with many students of aviation. This third edition has been extensively updated throughout. It features new material that stresses the dynamic aspects of demand and supply and the ongoing competitive aspects of the marketplace. It now features an introductory chapter, and specific examples, to more directly relate management decisions to the economic theory. Also, in addition to an expanded coverage of revenue management and pricing decisions, the third edition includes case studies that give real-world examples to reflect actual industry practice as well as a discussion of the more up-to-date computer applications that make the new techniques so effective. This book offers a self-contained theory and applications-oriented text for any individual intent on entering the aviation industry as a practicing professional in the management area. It will be of greatest relevance to undergraduate and graduate students interested in obtaining a more complete understanding of the economics of the aviation industry. It will also appeal to many professionals who seek an accessible and practical explanation of the underlying economic forces that shape the industry.